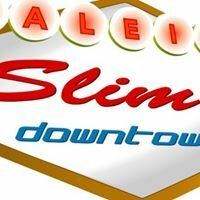 SLIM'S IS HAVING A BOI BOMB PROM, YA'LL. Don't know what a boi bomb is? Ask around. Or, just find out at the prom. Come dressed in your best prom gear. There are no rules or limitations to what that means. We've got Corvette Summer performing two sets, covering some classic prom jams, starting at 9:30. NO NEED TO HAVE A DATE.